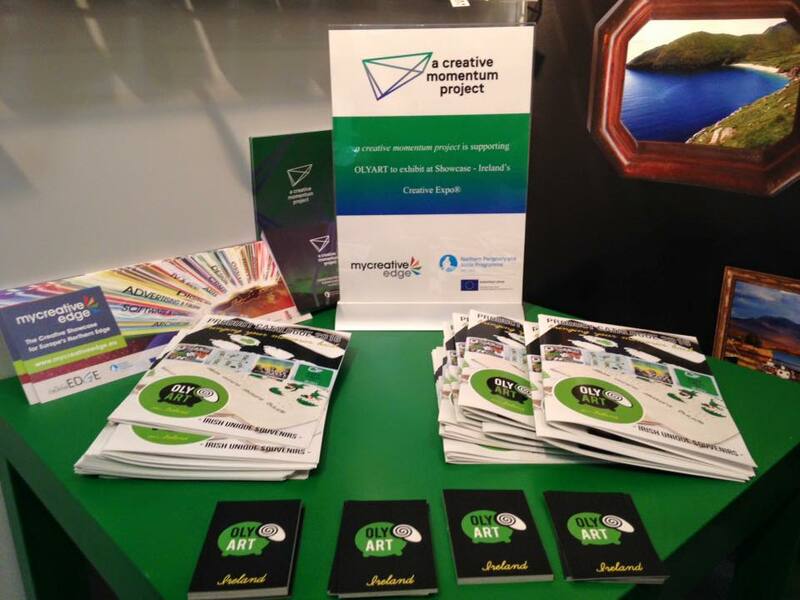 OLYART is a Galway-based enterprise run by Aleksandra Kieldanowicz and Joanna Zalech. The company specialises in souvenirs and gifts inspired by contemporary Ireland. 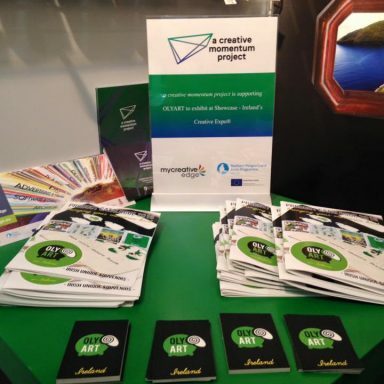 In January 2016, OLYART received support from a creative momentum project to exhibit at Showcase – Ireland’s International Creative Expo 2016 . Aleksandra and Joanna knew Showcase really well – it was their fourth time at it. At the exhibition, Aleksandra and Joanna wanted to show how their products would actually fit in a shop. So, they designed a modern stand as well as wall and floor displays for their most popular product: double sided coasters, postcards, shopper bags and fridge magnets. Originally from Poland, Aleksandra Kieldanowicz came to Ireland in 2006. Aleksandra holds a Master of Spatial Planning and is a self-taught Illustrator. She worked as an Architect in Galway City but was made redundant following the economic downturn. Aleksandra’s passion for drawing and love for Ireland led her to establish her own business, OLYART. 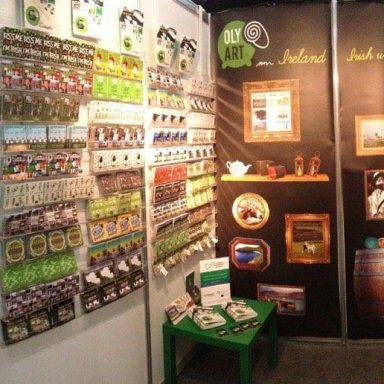 OLYART was born in 2011 and specialises in souvenir gifts from Ireland, which are sold nationally and internationally. Joanna Zalech arrived to Ireland from Poland in 2007. She meant to stay for one week but fell in love with Ireland and particularly Galway. Joanna holds a Master of IT and Book Science with a specialisation in Publishing. Joanna is Director of Learn Polish Ltd (Language School teaching over 400 students) and a PR and Marketing representative for Galway’s West End.